Air Mail route markers from the 1920s?? Thread: Air Mail route markers from the 1920s?? 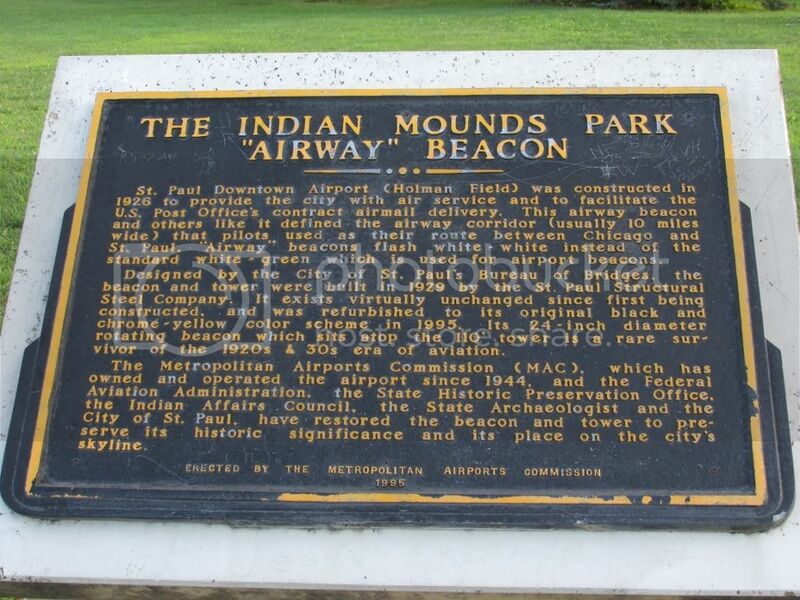 In St Paul MN there is a still functioning airways beacon on the bluff overlooking Holman Field. Every night it lights white-white in addition to the standard airport beacon lighting white-green. Last edited by champ driver; 11-19-2013 at 06:11 AM. I went to the Alabama link posted on RV8505's post on page 1 and that is so pretty. That one and the Minnesota picture above brings back memories. There was an emergency field and airway beacon north of Covington, LA. I can remember, as a 4 year old child riding out there with my parents to pick up my brother who had landed there when he flew in from Baton Rouge, in what I now know to have been a pre-war Aeronca Chief. This was just before the beginning of WWll. He would buzz our house in town and cut the engine and yell "Come & Get Me". The field was about 5 miles north of Covington and on the east side of what is now Hwy 437, aka Lee Road. That was the first time I can remember ever seeing an airplane on the ground. The field and beacon are no more as it is all forest now. I have an old aeronautical chart, similar to our Sectional charts that shows this field on it. There are some very early ones out there. There is one that predates the light towers and was surveyed by Charles Lindbergh on the Mogollon Rim above Payson, AZ. I'm told there is another one in Mesa, AZ, but I've not found it. The one above Payson is maintained at a volunteer camp out every year. I would attach a Google Earth .kmz file of the location, but it doesn't seem possible to attach files here, so here's an image and coordinate. 34° 25.083'N 111° 24.522'W. Found the attachment button, but it declares Google Earth .kmz files as invalid and won't upload them. You should be able to paste the coordinate above into GE and go right too the marker. Last edited by LarryAZ; 09-06-2013 at 01:34 PM. Wouldn't it be cool to build one of these at Oshkosh? The EAA has the biggest part (Tower). See the link below? I just read about these for the first time. Are any of them still out there?? Has anyone ever seen them from the air? I found the remains of an concrete arrow in NE Indiana which was part of the New York - Chicago airmail route. It was airway beacon No. 14 (Helmer). I've been trying to find evidence of the airmail route across northern Indiana. 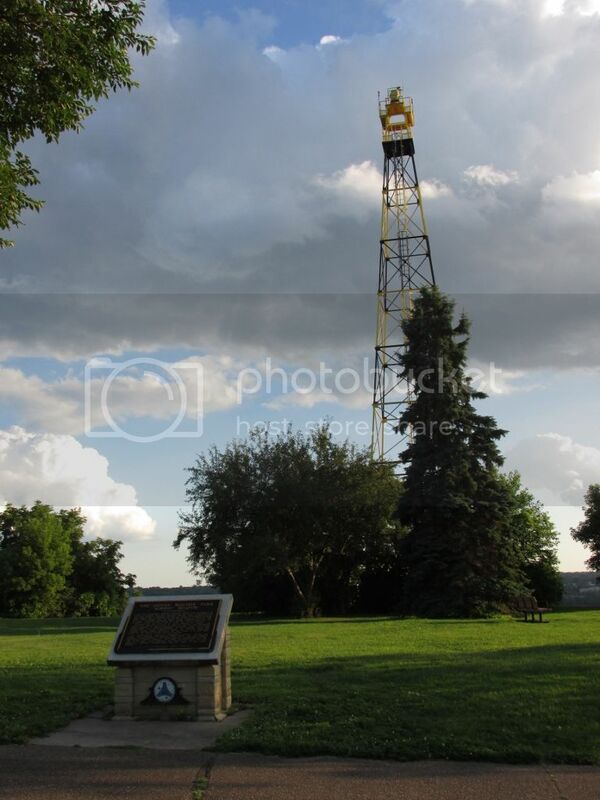 Our rotating beacon at C62 was originally used on the airmail route (airway beacon No. 13) and then relocated the airport in the 1950's. How did you go about finding it? I started out with some old US Coast and Geodetic maps that I own dated from the 1940's. They show airway beacon locations if they still existed at the time the map was made. Also have used websites, for example, www.atchistory.org. It's the history of Flight Service and has a wealth of information. When you stop along the road and start walking around with a map in your hand it's not long before the landowner comes down to see what you're doing. When I explain what I'm looking for, they start telling me stories handed down from their father and/or grandfather about when the airmail beacons were up and running. They will point out just exactly the beacons were built and if anything is left of them. The Paleofuture blog just published a story about the arrows and beacons - nice to see any aspect of aviation history getting some attention!